When I was a little boy, one old gravestone in our family cemetery fascinated me. The lettering was archaic and concentrated at the top of the stone. The inscription read “SACRED to the Memory of Comfort Williams, Who Died March 30, 1847, Aged 54 Years.” I knew we had Williams cousins in and around the area. When I was a VERY small child we attended the Williams family reunion in a nearby park. But when I became interested in genealogy in 1970, when I was thirteen, I began to put family information together. I soon realized that I was related to Comfort (a woman’s name, I learned) and in fact, she is my 3-great-grandmother. I don’t remember how I connected with an older, distant cousin named Helen Jacoby Dickes, but she provided me her genealogy of Comfort’s family. I still have her photocopy, with its faint type and slick paper common to photocopies of that time. Her genealogy was a terrific gift. I learned so much about the family. Comfort’s second son Josiah, who was buried nearby in the little cemetery, was my grandfather Josiah Crawford’s material grandfather. Furthermore, I learned that Comfort had come to our home area (Fayette County, Illinois) with her five children, in around 1840, and that her family were buried in Obetz, Ohio, just south of Columbus. Buried there were were husband Josiah, her parents John and Margaret Weatherington, and her sister Rebecca and her husband, George Washington Williams. I would love to know more about her decision to go west. All these relatives buried in Obetz were dead by 1840; did she feel like she had no reason to stay in that area? Why did she come to Fayette County, Illinois? At some point my parents took me to Obetz (I was stil young at the time). We found a row of graves: the bronze marker for John and Margaret Weatheringon, a grave-sized stone slab for George Washington Williams, and a bronze marker for him and his wife Rebecca Weatherington, and unmarked place, and then the grave of a relative named O.H. Perry Williams. According to Helen’s genealogy, the original gravestones were replaced with bronze markers in 1938—but there was supposed to be one for Josiah, and there was none. I’ve always surmised that the unmarked place to the right of George and Rebecca was Josiah’s grave, though I don’t know that for sure. George Washington Williams. His Find-a-Grave memorial is here. John Williams. His Find-a-Grave memorial, with a link to his wife’s, is here. Josiah Williams, born September 22, 1786. “All these sons married Weatherington sisters,” writes Helen. And that brings us to Comfort (Weatherington) Williams’ family. The Weatheringtons (or Worthington: the name is written differently in different sources) were descended from Nicolas Worthington who came from England to Maryland in 1650, or possibly from Capt. John Worthington, who also came to the colonies in the seventeenth century. 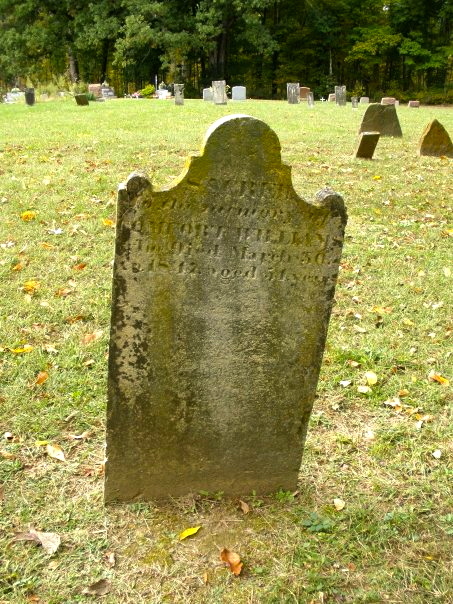 Isaac, born 1772, died August 18, 1837, married Elizabeth Hornbecker. Josiah Williams, Sept. 17, 1819. Married to Winneford A. 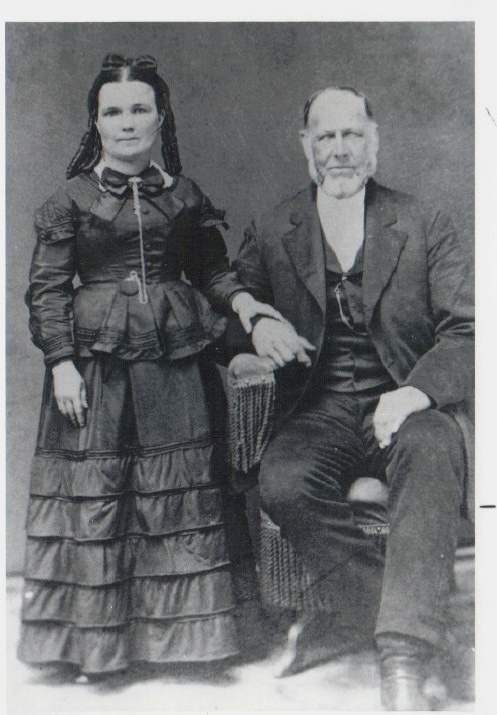 Brown (with whom he had three children) and Margaret Adaline Brown (with whom they had eleven children. Josiah and Margaret are my great-great-grandparents: my material grandfather’s material grandparents. Here is a link to the history of the local Brown family. Cordelia Williams, born about 1821, date of death unknown but probably before 1860. She married Benjamin Powell and then Dudley H. Mabry with whom she had one child. Edmonson M. Williams, born 1824, date of death unknown. Married Barbara Crawford, with whom he had ten children, married a second time and had one more child. “Later he deparated from [his second] wfe, went West and homesteaded [in Kansas],” writes Helen. Barbara is my great-great-great-aunt through the Crawfords. Rebecca Comfort Williams, born Feb. 25, 1827 to March 20, 1878. Married Robert James Pilcher. Four children. Robert is my great-great-great-uncle through the Pilchers (Grandma Crawford’s family). When my daughter was 600 miles away in college near Pittsburgh, I stopped by Obetz a few times while traveling I-70. I’d visited the place three or four other times since first coming here about 40 years ago. The cemetery is a large and pretty churchyard at the outskirts of the village. I can only imagine how beautiful were the virgin woodlands and prairie in that area when Josiah died in 1826, how different the scene would have looked compared to today’s small-town scene. I was a couple days too early for Obetz’s Zucchini Festival. Now that we’ve moved to St. Louis, I’m close to some local cousins who are also descended from this side of the family. A few weeks ago a cousin-couple here in town wrote me through Facebook and invited my wife Beth and me to an evening church event with them and another cousin-couple. Say what you will about online networking sites, but thanks to Facebook I’ve been able to reconnect not only with old friends but also with several cousins with whom I hadn’t seen or contacted for ages! We can chat a bit, offer encouraging words, and stay connected. It’s cliche to say, but what would Comfort have thought about the ability of her descendants to communicate? When she died in 1847, communication and travel were still pretty much identical; telegraphy was in its earliest days and limited to a few areas. Hello! My email is pstroble@yahoo.com. 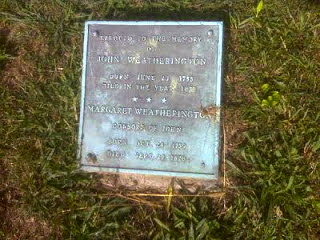 I don’t have any information about John Weatherington’s father, but I’ll bet someone has. Yes, hi! I thought I had included a link to Margaret’s family but realized I hadn’t. Here is background on her family, the Browns. https://paulstroble.wordpress.com/2015/06/29/my-family-the-browns/ Josiah (1819-1893) and Margaret (1839-1893) are my great-great-grandparents. Josiah was also his father’s name (he lived in 1796-1826), and Josiah’s grandson Josiah Crawford, who was my grandfather, has the name. It was a popular family name! Hello! I’m afraid that my material on that blog post, and also those links to FInd-a-Grave, is the extent of my knowledge of these early Williamses. Thanks for checking! Paul S.